Our Smart Server lineup combines the benefit of dedicated, non-shared, resources with the flexibility of cloud-like features such as easy O/S reloads, console access, and easy configuration upgrades. Not Your Typical Smart Servers. We Keep High Performance in Mind. Our top-of-the-line smart servers are built for top performance. Operated out of world class data centers in New York and Los Angeles, you can rest assure you will have the flexibility and online presense you need to manage your workloads. Our entire infrastructure is built for performance, with only the highest grade enterprise class servers and network equipment utilized. Managed by a group of tech junkies with an acute sense for business, ChicagoVPS.net is built to please even the most particular customers. ChicagoVPS utilizes high performance Intel Xeon processors with RAID10 arrays. As an extra layer of protection we have implemented daily backups so we are always prepared. 1Gbps DDoS Protection monitored 24/7/365. Layer 1 – 7, we have you covered. Adaptive and dynamic software firewalls in place to protect every web hosting machine. We actively review logs to detect intrusion attempts and block such attempts in real time. ChicagoVPS operates 24 hours a day, seven days a week, without exception. We never close. We understand the importance of delivering reliable support to our customers. Every time you contact us, a trained and experienced technician, who has likely seen your problem or issue before, will provide answers and solutions to get you back up and running in no time. Chat with a ChicagoVPS represenative during our business hours. With multiple support operators online, our response time is 30 minutes or less. North American Based support is available 24×7 eager to help you! We’re social, come be social with us! ChicagoVPS highly skilled team of engineers work day and night to ensure 100% network availability. All ChicagoVPS datacenters rely on diverse network routes and scalable redundant architecture to consistently deliver headache-free hosting for our customers. Contact our sales team. We are very accommodating and can find a custom solution to meet your needs. Dedicated servers provides the highest level of resources and capabilites of an entire server. 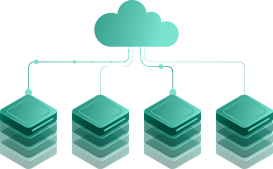 Dedicated servers are used specifically by one user and not shared by any others, enabling those users to use 100% of the reources powered by the server. What is the difference between Linux VPS and a dedicated server? A Linux virtual private server is not a physical computer, while a dedicated server is compiled of several virtual servers.